The new season at Southwell Junior Badminton Club began in early September. The club, which has been meeting at Southwell Leisure Centre on Saturday mornings for nearly 30 years, has places available for young, sporty kids at most age groups who would like to try the sport and receive coaching from our National Level 2 qualified coaching team. We will be running from 9.00 am with our beginners' group, where the youngest member has just entered School Year 1, offering a range of activities to encourage kids to develop their sporting ability and skills in various ways before concentrating on more badminton specific activities. We run league teams from School Year 6 to Year 12, where the emphasis is not necessarily on winning, but developing the skills to promote badminton as a 'game for life'. With additional coaching taking place on Friday nights specifically for our young and new members, we are hoping to develop a new generation of sport, especially badminton, loving kids in Southwell. Our annual singles tournament, for last season, belatedly took place at the end of September, preparing our members for the challenges of the season's league competition to come. If you are interested in playing badminton, see our web site at www.southwelljbc.co.uk or call Alex Fenton on 01949 2014 to discuss your options and to take advantage of an initial free trial session. 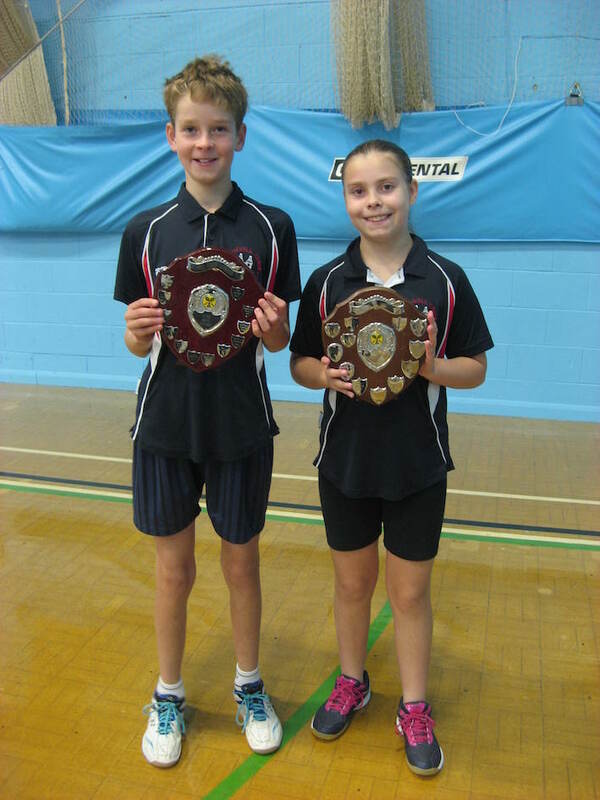 Photo caption: Last season's Year 6 winners, Tom Hutson and Millie Woodward.